News Item: Leonard Dennis Kozlowski, 67, will be released on parole Jan. 17, 2014 after more than eight years in prisons in New York state. You know, the guy with the $6,000 shower curtain in his multimillion dollar Fifth Avenue co-op. The guy who celebrated his wife's 40th birthday with a multimillion dollar party on the Italian island of Sardinia that included a statue of David peeing vodka. In 2002, L. Dennis Kozlowski, who had just been fired as Chairman and CEO of the Bermuda-based conglomerate Tyco International, was unfortunate to be the target of legendary New York County District Attorney Robert M. Morgenthau -- the inspiration for the Adam Schiff character played by Steven Hill on NBC's hit series "Law & Order" -- for allegedly stealing $100 million from Tyco International. (Not the Tyco toy company now owned by Mattel, as the trial judge pointed out to the juries). Morgenthau particularly favored going after alleged white collar criminals, probably -- I'm guessing -- because his office overwhelming indicted people of color for non-white-collar crimes. Every big city D.A. wants to prosecute "the great white defendant" and 6-2, 235 pound Kozlowski fit the description in every way. 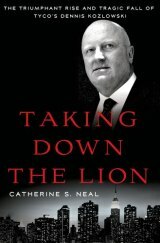 The real story of Kozlowski and his co-defendant Mark Swartz, chief financial officer of Tyco, is told in a compelling, heavily documented book by Catherine S. Neal: "Taking Down the Lion: The Triumphant Rise and Tragic Fall of Tyco's Dennis Kozlowski" (Palgrave MacMillan, a division of St. Martin's Press, 288 pages, in text b&w illustrations, notes, index, $28.00). I thought I knew a lot about the notorious Mr. Kozlowski, but after reading Neal's book I discovered that I didn't know the whole story. Far from it! Neal is sympathetic toward Kozlowski -- who became known affectionately as "Koz" to inmates of NY state prisons whom he encouraged to further their education -- but she doesn't whitewash his flaws, which include one that I found strange in a man who earned a bachelor's degree in accounting (Seton Hall University, class of 1968): He was not a detail person, delegating important decisions to others. I've known some accountants in my time -- I even worked for one briefly as his public relations man -- and they are notorious for being detail people. Kozlowski and Swartz -- who declined to be interviewed by Neal and is slated for parole release at the same time -- were more or less scapegoats hung out to dry for poor business decisions by a hostile board of directors, Neal posits in a book that should be read by journalists and lawyers and anyone in a position of authority in business. Journalists should read this book to see how their profession can cause unnecesary harm to a person who hasn't committed a crime and is essentially being tried in the court of public opinion. More about journalists later in this review. "As Kozlowski re-enters society, here's what everyone should know. "The Dennis Kozlowski character created by the media is not the real Dennis Kozlowski. So much that has been written and said about him, while interesting because of its sensational outrageousness, is factually inaccurate. "Kozlowski is a better person than the guy portrayed in the media for the past eleven years. We must remember that not everything we read is accurate. Sometimes, things are written simply to sell more newspapers or to get more online hits. Perhaps it's time to give Dennis Kozlowski a break — allow him to rebuild his life without any further public castigation, name-calling, and mischaracterizations. "While it will undoubtedly be better than the past eleven years, life after prison won't be easy for Dennis Kozlowski. It will be interesting to see if the media and public opinion will allow Kozlowski to shed the caricature of the greedy CEO and move forward. Will he be able to put the conviction behind him? Kozlowski served a long sentence — much longer than those served by most violent criminals. Hopefully, his punishment will end and Kozlowski will be allowed a productive, uneventful third act." At the time of his arrest almost a dozen years ago, I thought of Kozlowski as the walking, talking symbol of the greed that I believed exemplified the Baby Boomer (those born from 1946-1964) generation. I'm judgmental as hell, people tell me, saying you can't label -- or libel -- an entire generation -- but behind this judgment is a kernel of truth. As the widely-admired CEO of Tyco International, a post he assumed in 1992, Dennis Kozlowski grew a little-known New Hampshire conglomerate into a global giant. (You might not know Tyco, but you'll recognize two companies owned by the conglomerate, which was reorganized in 2007: Brink's and ADT; I just saw a Brink's armored truck in front of my local H.E.B. supermarket). Tyco International website: www.tyco.com. In a stunning series of events -- including the acquisition of finance company CIT and the payment of a $20 million fee to a Tyco director who engineered the acquisition -- Kozlowski lost his job along with his favored public status when he was indicted by Morgenthau—it was an inglorious end to an otherwise brilliant career. Morgenthau, now 94, retired as D.A. and an interview subject of Neal for the book, is notorious for charging defendants in cases that would normally be federal ones, Neal points out. There were no federal indictments of anyone connected with Tyco International, including Kozlowski and Swartz -- because no federal crime was committed. In the era of Enron, Adelphia, WorldCom, Global Crossing and other companies that went bankrupt, Kozlowski was the face of corporate excess in the turbulent post-Enron environment; he was pictured under headlines that read “Oink Oink,” and publicly castigated for his extravagant lifestyle. “Deal-a-Day Dennis” was transformed into the “poster child for corporate greed.” Kozlowski was ultimately convicted of grand larceny and other crimes that, in sum, found the former CEO guilty of wrongfully taking $100 million from Tyco. There was one big difference between Tyco International and the companies cited above, Neal points out: Tyco didn't go bankrupt. The CIT deal and the recession drove down the share price of Tyco stock from the high $80.00 per share price to about $11.00, but eventually it rose -- although not to the peak reached under Kozlowski's stewardship. (I just checked the share price of Tyco: about $41.00). Neal is particularly harsh on the media coverage of Kozlowski, especially in the tabloids, but including one reporter for The Wall Street Journal. She accuses print and broadcast journalists of trying and finding Kozlowski guilty in their version of the court of public opinion. There are two exceptions to Neal's castigation of the news media: Andrew Ross Sorkin of the New York Times and Dan Ackman of Forbes. She praises the two for their accurate news reporting. A personal note: This month marks my 48th anniversary as a journalist, as a reporter and an editor on five daily newspapers, including almost 10 years at The Milwaukee Sentinel and more than 14 years at the Los Angeles Times. I've seen the good, the bad and the ugly of journalism and I think -- for the past two decades at least -- we've witnessed the nadir of the profession, with major scandals at papers like the New York Times (Jayson Blair and Judith Miller) and TV programs like 60 Minutes (Lara Logan). So --as an antidote to the miserable reporting I've observed over the years -- I recommend "Taking Down the Lion" to my fellow ink-stained (and byte-stained) wretches in the news media. 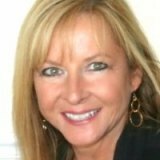 Catherine S. Neal is an Associate Professor of Business Ethics and Business Law in the Haile/US Bank College of Business at Northern Kentucky University. She is a graduate of the University of Cincinnati College of Law where she was a Corporate Law Fellow. Neal was granted unprecedented access to Dennis Kozlowski, his papers, attorneys, family, friends, and former Tyco colleagues, as well as transcripts and evidence from two criminal trials. Neal's research included interviews with former Manhattan DA Robert Morgenthau, the foreman of the jury that convicted Kozlowski, and key Tyco insiders.